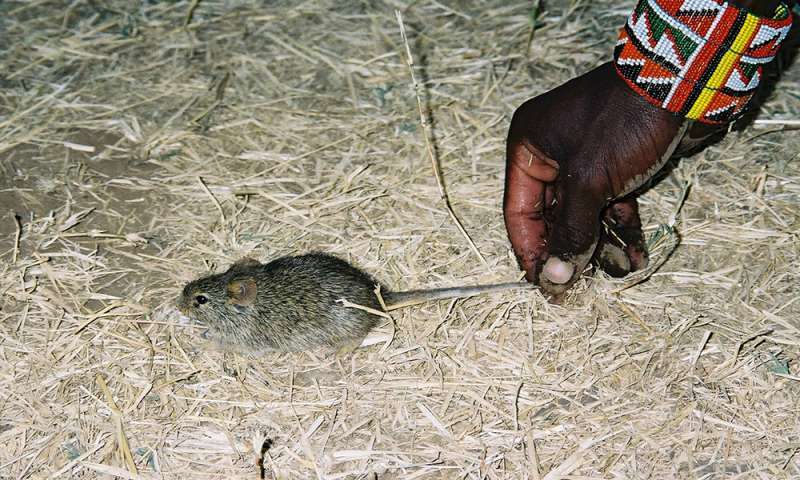 A mouse from a Maasai village in southern Kenya. Credit: Photo by Lior Weissbrod. "The research provides the first evidence that, as early as 15,000 years ago, humans were living in one place long enough to impact local animal communities—resulting in the dominant presence of house mice," said Fiona Marshall, study co-author and a professor of anthropology at Washington University in St. Louis. "It's clear that the permanent occupation of these settlements had far-reaching consequences for local ecologies, animal domestication and human societies." Marshall, a noted expert on animal domestication, considers the research exciting because it shows that settled hunter-gatherers rather than farmers were the first people to transform environmental relations with small mammals. By providing stable access to human shelter and food, hunter-gatherers led house mice down the path to commensalism, an early phase of domestication in which a species learns how to benefit from human interaction. The findings have broad implications for the processes that led to animal domestication. "The findings provide clear evidence that the ways humans have shaped the natural world are tied to varying levels of human mobility," said Marshall, the James W. and Jean L. Davis Professor in Arts & Sciences. "They suggest that the roots of animal domestication go back to human sedentism thousands of years prior to what has long been considered the dawn of agriculture." Led by Thomas Cucchi of National Center for Scientific Research in Paris, France, and Lior Weissbrod of the University of Haifa in Israel, the study set out to explain large swings in the ratio of house mice to wild mice populations found during excavations of different prehistoric periods at an ancient Natufian hunter-gatherer site in the Jordan Valley of Israel. 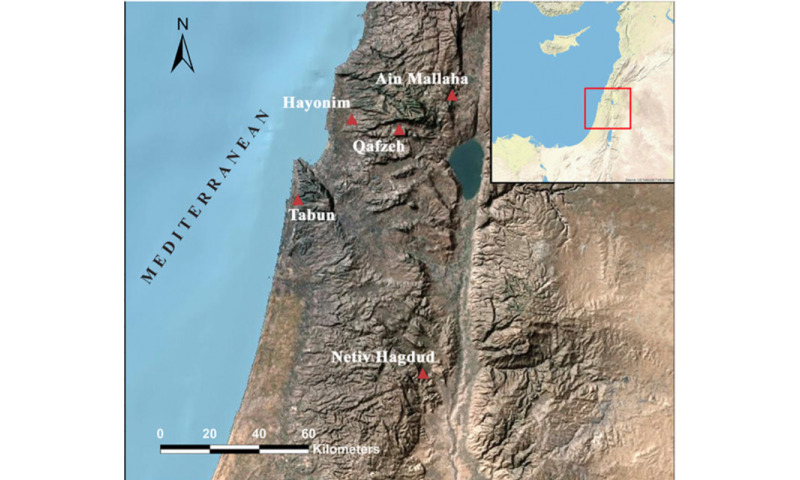 Mice teeth used in this study were recovered during excavations at the prehistoric Natufian settlement site of Eyna (also known as Ain Mallaha) in the Jordan Valley north of Jerusalem. Credit: Base map generated by Lior Weissbrod from Environmental Systems Research Institute (ESRI) data using ArcGIS v.9.1. Examining tiny species-related variations in the molar shapes of fossilized mice teeth dating back as far as 200,000 years, the team built a timeline showing how the populations of different mice fluctuated at the Natufian site during periods of varying human mobility. The analysis revealed that human mobility influenced competitive relationships between two species of mice—the house mouse (Mus musculus domesticus) and a short-tailed field mouse (M. macedonicus)—that continue to live in and around modern settlements in Israel. These relationships are analogous to those of another pair of species called spiny mice which Weissbrod and Marshall discovered among semi-nomadic Maasai herders in southern Kenya." Findings indicate that house mice began embedding themselves in the Jordan Valley homes of Natufian hunter-gatherers about 15,000 years ago, and that their populations rose and fell based on how often these communities picked up and moved to new locations. When humans stayed in the same places for long runs of time, house mice out-competed their country cousins to the point of pushing most of them outside the settlement. 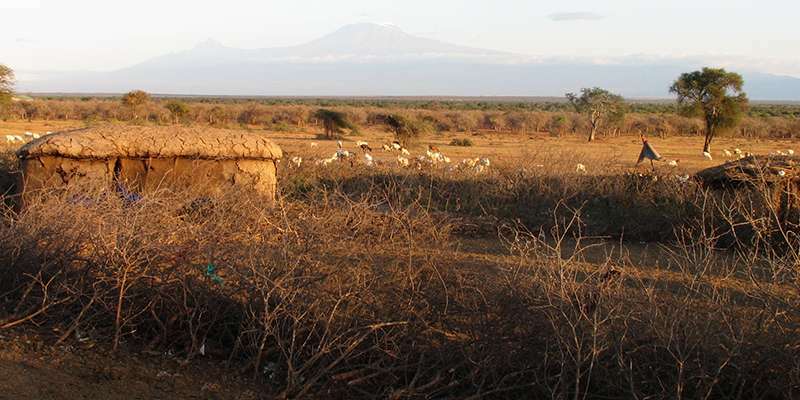 In periods where drought, food shortages or other conditions forced hunter-gatherers to relocate more often, the populations of house mice and field mice reached a balance similar to that found among modern Maasai herders with similar mobility patterns. The study confirms that house mice were already a fixture in the domiciles of eastern Mediterranean hunter-gatherer villages more than 3,000 years before the earliest known evidence for sedentary agriculture. It suggests that the early hunter-gatherer settlements transformed ecological interactions and food webs, allowing house mice that benefited from human settlements to out-compete wild mice and establish themselves as the dominant population. "The competition between commensal house mice and other wild mice continued to fluctuate as humans became more mobile in arid periods and more sedentary at other times—indicating the sensitivity of local environments to degrees of human mobility and the complexity of human environmental relationships going back in the Pleistocene," said Weissbrod, currently a research fellow at the Zinman Institute of Archaeology at the University of Haifa. Weissbrod's research involves analysis of microvertebrate remains from a wide range of prehistoric and historic sites in Israel and the Caucasus dealing with paleoecology and human-ecosystem interactions. A 2010 graduate of the doctoral program in archaeological anthropology at Washington University, he began research for this study as part of a dissertation examining fluctuations in populations of mice and other small animals living around Maasai cattle herding settlements in Kenya. Marshall helped Weissbrod to develop the ethnographic context for underlying research questions about the ecological impact of human mobility. Together they built field-based ecological frameworks for understanding changing animal human interactions through time focusing on mice and donkeys. Working from his lab in Paris, Cucchi used a new technique called geometric morphometrics to identify the mouse fossils and reliably distinguish telltale differences in the miniscule remains of house mice and wild species. The method relies on high resolution imaging and digital analysis to categorize species-related variations in molar outlines nearly as thin as a single millimeter. The findings, and the techniques used to document them, are important to archaeological research in a broader sense because they lend further support to the idea that fluctuations in ancient mouse populations can be used as a proxy for tracking ancient shifts in human mobility, lifestyle and food domestication. "These findings suggest that hunter-gatherers of the Natufian culture, rather than later Neolithic farmers, were the first to adopt a sedentary way of life and unintentionally initiated a new type of ecological interaction—close coexistence with commensal species such as the house mouse," Weissbrod said. "The human dynamic of shifts between mobile and sedentary existence was unraveled in unprecedented detail in the record of fluctuations in proportions of the two species through time."